Given their track record in government since 2010, it would be possible to write a volume of books on what the Tory party don't know about economics. I don't have time for that, so this blog post will have to do. Judging by recent opinion polls, it is clear to the majority of people in the UK that austerity isn't working and that George Osborne is hopelessly out of his depth. However people can't really articulate why, other than by making simple observations about the lack of economic growth, or Osborne's abject failure to meet any of his economic targets. One of the main reasons George Osborne and the Tory party have been able to get away with repeated, brazen examples of economic illiteracy (claiming that the debt and the deficit are the same thing, conflating fiscal policies with monetary outcomes, debt fearmongering...) is that the public really struggle to engage with economics. This is not because economics is a particularly complex subject, but because the "national curriculum" education system doesn't provide the majority of people with basic economic literacy. 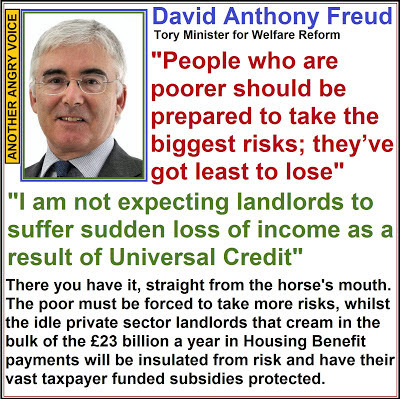 This lack of economic literacy is great for organisations like the major Tory party donors Wonga.com, that have built their lucrative business model on hawking 4,212% APR loans to the economically illiterate. This lack of public economic literacy has been great for successive governments too (Tory, Neo-Labour, Coalition), who have all demonstrated abject economic illiteracy, but managed to get away with it because the public are unable to grasp the scale of their economic mistakes, and because the corporate mainstream press have been unwilling to properly explain it. One could assume that this reluctance to explain is because simplistic tittle-tattle and shallow political rhetoric sell more papers than concerted efforts to explain seemingly complex economic theories to the general public. However there are also the possibilities that the corporate mainstream press are unwilling to explain economic mistakes because they are unwilling to rock the establishment boat or because the majority of journalists are as economically illiterate as the public, and couldn't explain economic ideas in an accessible manner, even if they wanted to. 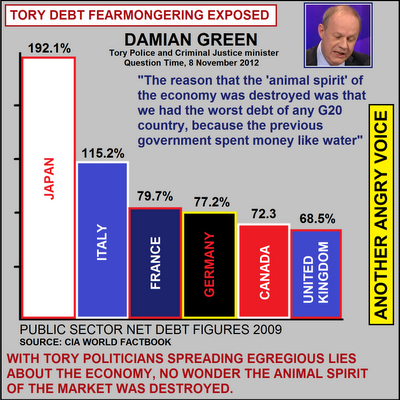 Take the mainstream media silence over Gordon Brown's PFI economic alchemy schemes. The press gave Neo-Labour a free ride on PFI, with the magazine Private Eye practically the only source of reason on the subject for the best part of a decade. In 2011 the Treasury Select Committee finally got around to admitting the obvious, that PFI is as an "extremely inefficient method of financing [public infrastructure] projects". Even then, the mainstream press failed to run with the scandal, or to question why the Tories insist on maintaining Gordon Brown's accounting trick of hiding PFI debt legacies off the national debt calculations. There is plenty of evidence that high profile members of Neo-Labour were economically clueless, and that the media just gave them a free ride. However, there is even more evidence that the current Tory led coalition are either startlingly economically illiterate, or that they have such faith that the public are too economically illiterate to understand anything and that the corporate press are unwilling to explain it properly, that they think that they can get away with repeating any old economically absurd cobblers in the hope of creating a convincing narrative to justify their actions. 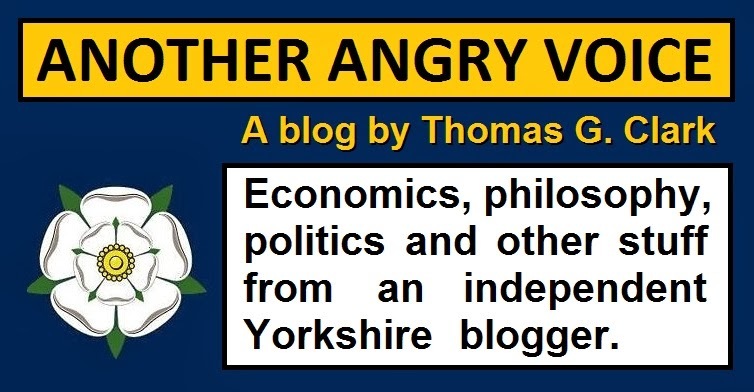 I've already written articles that demonstrate that the Tories spout economically illiterate gibberish, that they brazenly lie about the economy, that they invent narratives rather than present economic evidence, that they conflate their fiscal policies and the monetary outcomes of the Bank of England's bond market distortion scheme, and now the backbench Tory MP and former candidate for the Tory leadership, John Redwood has provided me yet another opportunity to nail the Tories for their economic illiteracy. 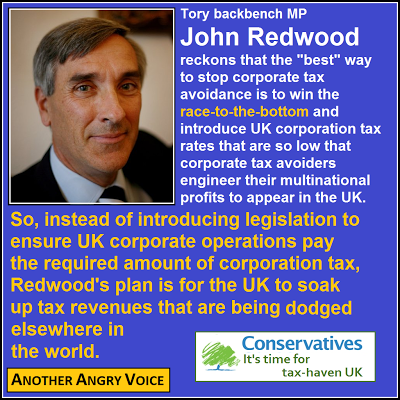 Redwood was speaking on the BBC Radio 4 Today programme on the 8th of December 2012, attempting to defend the immoral tax dodging behaviour of companies like Starbucks, the extremely lax UK tax code that allows such huge scale tax-dodging (98 of the 100 FTSE 100 companies have established tax haven based subsidiaries) and the fact that the HMRC now seem to be operating a "pay what you like" tax regime, where tax-dodging corporations can make a voluntary "token tax" contribution in order to deflect public criticism of their tax dodging activities. It is hardly surprising that a high profile Tory would defend corporate tax-dodgers and the refusal of any of the establishment political parties to deal with the £30 billion+ annual corporate tax avoidance scandal by closing the loopholes with the kind of legislation I (and many others) have proposed. Neither is it surprising that Redwood used this tax-dodging scandal to promote the familiar Tory agenda of slashing corporation tax and tax rates for the wealthy elite. 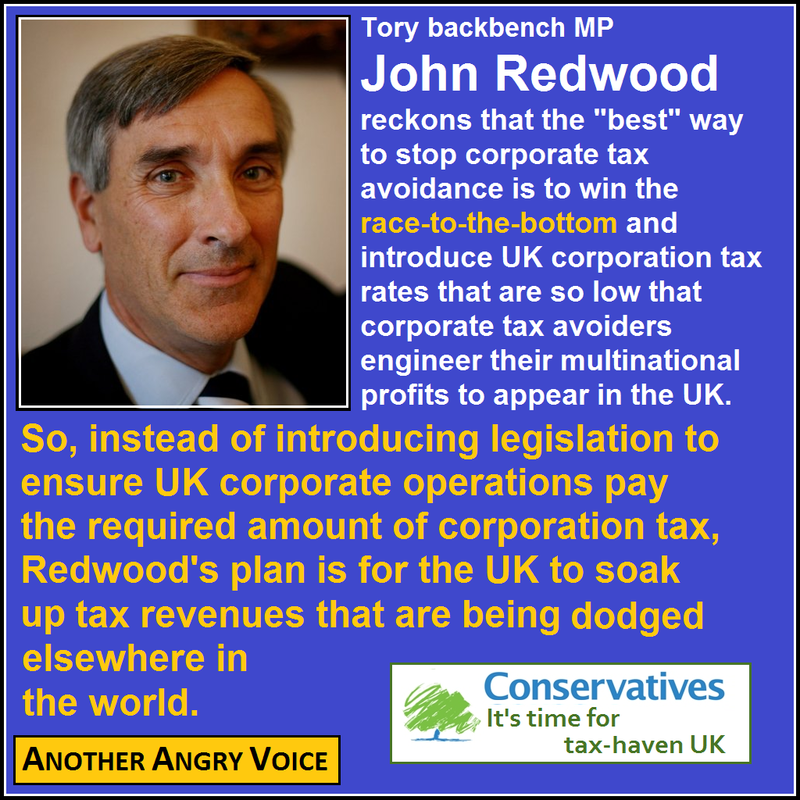 The essence of Redwood's message was that "best" way of getting more revenues is by cutting tax, thus encouraging the transfer pricing tax-dodgers to extract their multinational profits in the UK, rather than in Ireland or other corporation tax jurisdictions, as is the case now. "The lower the tax rates (which is the way the current government is going) the more income I think will be booked into out country as a result, because there is a competition between the main jurisdictions of the world to be able to tax profits, and obviously countries with the lower rates tend to win because there is quite a lot of scope to switch income around for tax purposes." "I'm very happy for our country to try and get more of the tax revenue into the United Kingdom by cutting the [Corporation Tax] rate"
"The single thing a country can do to win is to have lower rates"
These statements are outright admission that Redwood favours the "race to the bottom" strategy of enticing multinational tax dodgers with super-low corporation tax rates. However they've got a lot more slashing to do if they are going to compete with the extremely low rates in Ireland, Switzerland, Canada and Hungary, or to undercut the corporation tax rate of 0% in the Bahamas. "They don't avoid profit tax completely, because the profit has to come out somewhere." Redwood's intention is that the UK slash corporation tax rates to such low levels that the global tax-dodging corporatocracy decide to extract their profits in the UK. He wants the UK to behave as the economic pirates of the global economy, soaking up the tax revenues on profits that were generated elsewhere in the world. That senior Tories openly enthuse about winning the "race to the bottom" in order to hoover up dodged tax revenues from elsewhere in the world is bad enough, but there are some gaping economic flaws in this ideology too. The first objection relates to the Laffer Curve; the theory that there is an optimum amount of tax to be levied to maximise tax returns. The idea that tax cuts always increase tax revenues is theoretically flawed. This is easy to see. If corporation tax was set at 0%, tax avoidance could be eliminated, but at the cost of eliminating all corporation tax revenues too. The same goes for setting tax rates at 100%, nobody would even bother to go to work if the government enforced a 100% tax rate. The optimum point obviously lies somewhere between. 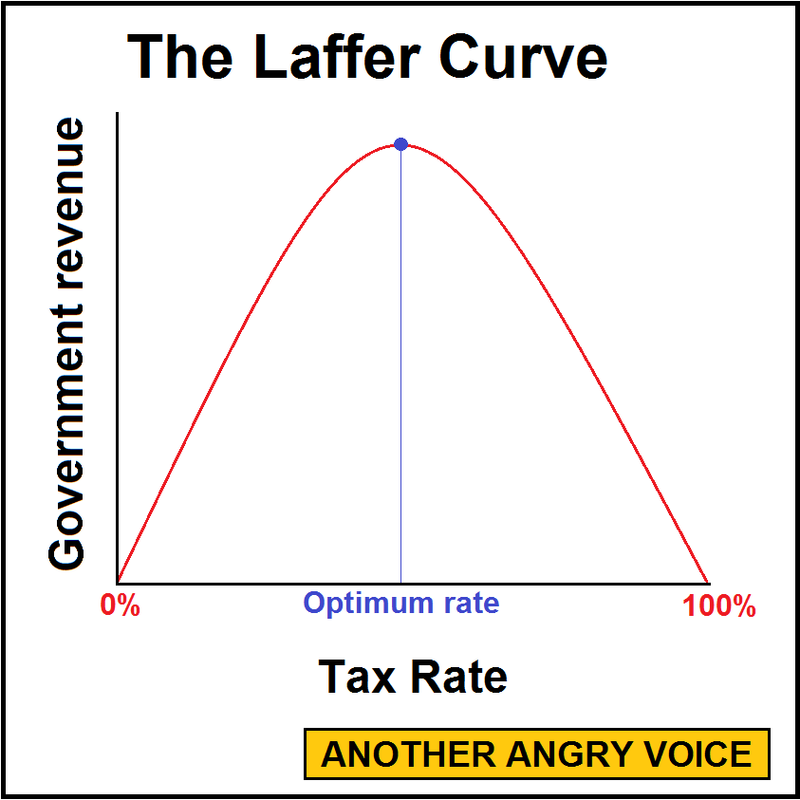 What is certain is that the more the tax rate is slashed, the more likely it is that the revenues are going to "fall off" on the left side of the Laffer Curve. The next objection is the sheer scale of tax cuts that would be needed to lure companies into engineering their profits to appear in the UK. Given that several other European economies are running 10% Corporation Tax rates, the UK would need to halve their corporation tax rate in order to compete in the transfer pricing piracy game. I'm not sure that the public would approve of the slashing of corporation tax at this time of "austerity" for everyone else. The last, and most important objection is the fact that Osborne's decision to slash Corporation Tax rates from 28% to 24% since 2010 has actually led to a huge fall in tax revenues, even though corporate profits are soaring. In July 2012 it was announced that Corporation Tax receipts have fallen by nearly 20%. What is Osborne's answer to this fall in revenues? Cut the rate even further to 21%, ensuring that even more revenues are eliminated. It is quite clear from the economic evidence that Osborne's corporation tax cuts are pushing the tax rate further down the left slope of the Laffer curve, and that the benefits of winning the "race to the bottom" wont be felt until corporation tax rates fall well below 15%. Even then it is debatable whether the transfer pricing revenues from the global corporate tax-dodger brigade would ever exceed the more than halving of tax revenues from within the UK economy. Not only is there strong economic evidence (from the IMF and the OBR) that Osborne's ideological austerity experiment harming the UK economy by destroying strong fiscal multipliers, his corporation tax cuts have further reducing government revenues and forced him to miss his hugely over-optimistic borrowing targets. It has been estimated that in 2013 Osborne will have to borrow at least double the £60 billion that his department projected in 2010. In any other walk of life, such a spectacular miscalculation would surely be punished, but Osborne is left free to continue the same policies of tax cuts for corporations and the wealthy establishment elite and austerity for everyone else. 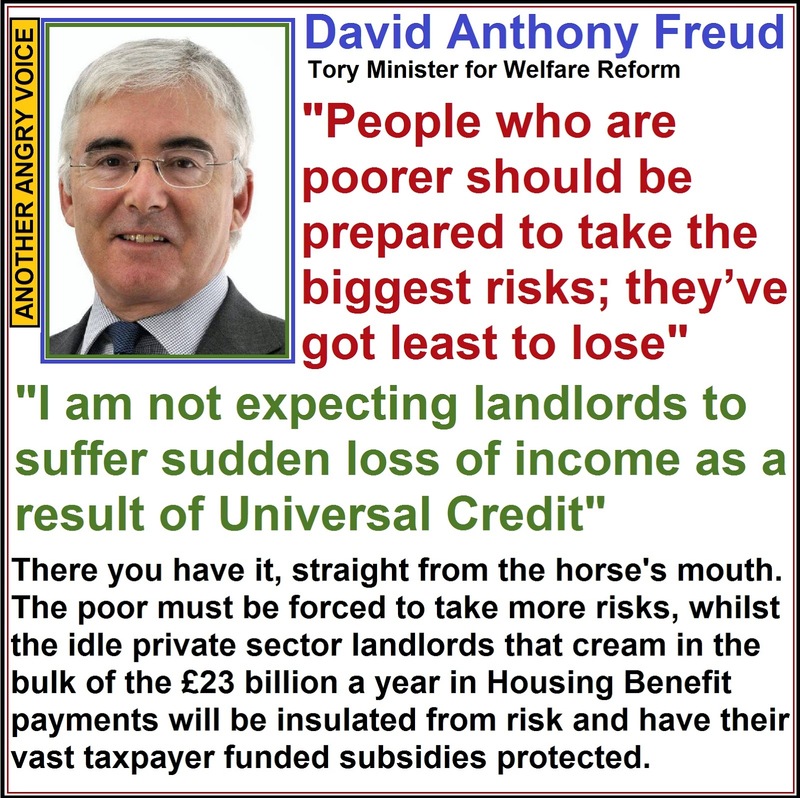 Exactly the policies that have forced him to row back on his deficit reduction plan. It is quite clear that Osborne and the Tories are intent on cashing in on the transfer pricing windfall by winning the "race to the bottom", rather than expending any real effort on ensuring that profits generated in the UK are not "magicked away" through complex tax-dodging scams. Not only is this stance immoral, it is also extremely dubious that their stated goal of turning the UK into a tax-haven for tax-dodging corporations to extract their profits would ever generate as much revenue as simply ensuring that profits made in the UK are taxed in the UK. After a couple of months of extremely bad press about their corporation tax avoiding activities, Starbucks finally caved into massive public pressure and declared that they intend to pay £20 million in UK corporation tax over the next two years. There are positives and negatives to take from this story. I'll start by noting that this voluntary tax contribution would never have been achieved without massive public pressure. Had UK Uncut not targeted Starbucks and had bloggers and social media activists not spread the word about Starbucks elaborate tax dodging scams, the company would never have offered to cough up a token tax contribution. This is absolutely clear evidence that public activism works. If Starbucks weren't looking at severe damage to their "brand identity" and massive revenue reductions due to the Boycott Starbucks campaign, they would certainly never have voluntarily offered to reduce the scale of their tax-dodging operations. This brings us to the negative aspects. The offer to pay a predetermined "token tax" contribution is quite obviously nothing but a desperate attempt to stop the savaging of the Starbucks brand. Starbucks bean-counters have realised that if the Boycott Starbucks campaign continues, they'll loose £millions in revenues. Their solution is to slash labour conditions and paid benefits such as sick pay, maternity pay and paid lunch breaks to make some savings and then offer those savings up as their voluntary "token tax" contribution. Staff have been told to sign revised employment contracts or face dismissal. Starbucks have claimed that the new contracts being forced on their staff have nothing to do with their tax arrangements, however the fact that staff are being made to sign new contracts in the week that Starbucks have announced their "token tax" contribution looks extremely suspicious. The next negative aspect of Starbucks' voluntary tax contribution is that the rules that allow such huge tax avoidance arrangements that provoked the Boycott Starbucks campaign remain completely unchanged. The Tory led government keep insisting that no new anti-avoidance legislation is necessary and that their "race to the bottom" cuts in corporation tax rates are the "best" way of reducing tax avoidance. HMRC are no better, they seem absolutely intent on maintaining their cosy relationships with major corporate tax avoiders. The Boycott Starbucks campaign has been relatively successful, in that the company have decided to make a "token tax" contribution in order to mitigate the damage, however, the rules that allow multinational corporate tax-dodging remain in place. Without government intervention and an end to HMRC's "kid gloves" approach to major tax-dodging corporations, the scale of tax-dodging won't be reduced, especially given that 98 of the 100 FTSE 100 companies maintain offshore subsidiaries for tax dodging purposes. The reason the Boycott Starbucks campaign has achieved a relative level of success in relation to other major tax-dodgers is that it is much easier to boycott a visible high-street chain, than it is to boycott a major online presence like Google or government service providers like Mapeley (the Bermuda based tax-dodgers that have a lucrative contract to run the HMRC property portfolio!). 1. A Ban on taxpayer funding of tax avoiding companies. There is absolutely no justification for allowing taxpayer generated funds to be provided to tax-dodging companies (in the form of subsidies, outsourcing contracts, R&D loans, procurement contracts, health contracts, IT contracts, training schemes, PFI deals...)*. If an enterprise won't demonstrate that they are a British based company (or registered subsidiary) that pay their fair share of taxes, they mustn't get a penny from the government. They should also have to demonstrate that all employees are paid in a tax transparent way, with no personal service companies, offshore dividends and the like. 2. A blanket ban on all tax avoidance schemes. After the government spending regulations have been brought into effect, a simple change to the tax code should be made to legislate that if a scheme is designed for the explicit purpose of avoiding tax, then it is by definition a criminal activity. * More details on why tax-dodging is harmful to the UK economy can be found on the Economic Case Against Tax-Dodging article. The obvious problem with these proposals is that the Tory party receives donations from a number of tax-dodgers, and are led by a man that inherited £300,000 from his father's offshore tax-dodging empire. Despite all of their rhetoric on combating tax-dodging, the Tory party have actually been opening up even more tax loopholes for the benefit of multinational tax-dodging corporations. Expecting the Tory party to actually clamp down on tax-dodging is like expecting UKIP to endorse the UK's membership of the EU. Given that the current Tory led government have a number of vested interests in keeping the UK tax regime as soft as possible, and that they have a demonstrable track record of actually opening up new tax-dodging loopholes, it seems that the most pragmatic course would seem to be to put pressure on the Labour party to include some explicit anti-tax-dodging proposals in their next manifesto. Despite the fact that a move to end taxation asymmetry between the multinational corporations and Britain's small and medium enterprises would be extremely popular with the taxpaying public, it actually seems unlikely that Neo-Labour would do anything significant to combat tax-dodging, especially given the deep involvement of tax avoidance specialists like KPMG within the Labour party (secondment of staff, sponsorship of conference events and direct political donations). Another reason to be suspicious of Neo-Labour's willingness to clamp down on tax avoidance is the fact that they were the ones that actually introduced the Limited Liability Partnerships that have been widely used in tax-dodging scams such as the Icebreaker LLP that was used in the Jimmy Carr tax-dodging scandal and the Sloane Robinson LLP that was used to facilitate the tax-dodging activities of the major Tory donor George Robinson. However sceptical we are that any of the three establishment political parties would be prepared to offer anything but empty rhetoric on tax-dodging, the pressure must be maintained, so that they know that if they do choose to take a genuine tough stance on multinational corporate tax-dodging, there would be millions of votes from hard pressed taxpayers and the owners of Britain's taxpaying small and medium enterprises in it for them. After many months of delving into the murky world of the UK press (phone hacking, corruption, bribes, invasion of privacy, criminality, misrepresentations, lack of accountability, political interference, hate campaigns and other abuses) Brian Henry Leveson finally published his report on press standards. 1. The creation of an independent press regulator, free from interference from media owners and politicians alike. 2. The creation of a legal duty on the government to protect the freedom of the press. However, if you hadn't bothered to read the report and just relied upon the right wing press and political shills like David Cameron and William Hague to [mis]interpret Leveson's proposals for you, you would be left with the impression that Leveson is proposing unprecedented government interference in the media and an outright attack on freedom of the press, a position that relies on maintaining the fictional narrative that the Leveson proposals are precisely the opposite of what they actually are. 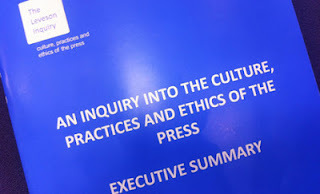 It is quite easy to see why the tabloid press would be opposed to the introduction of an independent press regulator to replace the cosy and ineffective media controlled Press Complaints Commission. The phone hacking scandal and the Metropolitan Police bribery scandal are just two of the myriad examples of how the PCC voluntary self-regulation regime has utterly failed to maintain anything approaching decent press standards, and that is why the tabloid press oppose change. They want to keep their voluntary, media dominated talking shop, without the means or the will to inflict punishment on severe transgressions. They don't want an independent regulatory regime with the means and the obligation to punish severe press transgressions. By opposing Leveson they are simply expressing their own self-interest, nobody would expect anything else from the Murdoch press and the Daily Mail. The Tory position, of briefing against Leveson before the report was even published, and then attacking, all guns blazing once the report came out is a little harder to fathom. I mean the opinion polls show that, of those that care about such things, the majority of voters would like to see independent statutory regulation of the press, rather than the continuation of the farcical PCC & PressBoF voluntary regulation regime, via a simple rebranding process. Taking the side of the powerful press barons that oversaw the hacking of a dead teenager's mobile phone and the bribery of police officers and medical staff, rather than taking the side of the victims doesn't look like a particularly intelligent strategic play. 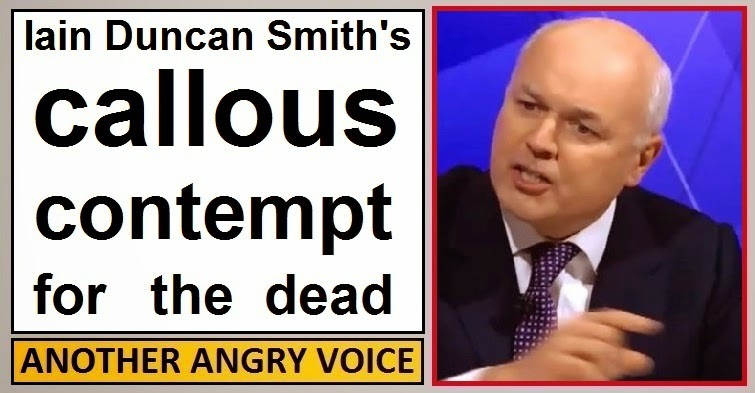 However, even if the Tory attempt to crash the Leveson proposals fails, David Cameron must be banking on this demonstration of loyalty to the corporate press in the hope that the favour will be repaid in the run-up to the 2015 General Election, where his desperately unpopular party will need as much help from the corporate press as possible. Another factor to consider in the Tory opposition to the Leveson proposals is that implementation would actually diminish Tory control over the press. Remember Leveson's proposal that the new independent press regulator should be "free of interference from the government", well that would end the situation where a Tory peer gets to choose someone from within the Tory party to run the press regulator, as is the case now! The man in charge of the PCC is the unelected Tory peer David Hunt, who was selected as head of the PCC by the unelected Tory peer Guy Black in his role of Chairman of the Press Standards Board of Finance, a man who also happens to be the Executive Director of the Telegraph Group of newspapers. The third key role in the voluntary shambles of a regulatory regime is Paul Dacre, who is editor of the Daily Mail. It is inconceivable that any of these three would be able to keep their positions within the regulatory authorities if the Leveson recommendations are adopted. It is hardly surprising that the Conservative party that has their members in two of the three most important regulatory roles under the current system oppose the creation of a new regulatory body that explicitly forbids political interference. Hunt and Black attempted to torpedo the Leveson report by drawing up an alternative "reform" to preempt Leveson, in which the current self-regulatory regime is simply rebranded with new names, allowing the powerful media interests and Tory party peers to keep their roles at the heart of the press regulatory regime. They have also devised a number of other reforms which, upon closer inspection turn out to be nothing more than outright attacks on press freedom, including mandatory Press Cards, to be distributed by the (corporate media and Tory party controlled) regulatory regime, without which, journalists would be forbidden from interviewing politicians, civil servants, the police, health workers and the like. Another of Hunt and Black's proposed alternative reforms is a crackdown on Internet journalism; on bloggers like me. It is quite extraordinary that these opportunists are trying to use a vast corruption scandal in the mainstream corporate press, to crack down on the independent press. Let me be clear, I have never hacked a telephone, intercepted private messages, bribed the police, formed cosy inappropriate relationships with politicians, deliberately misrepresented people's statements, committed perjury or falsified evidence. However, because the corporate media have done these things, the Tory peers and corporate media representatives that run the press regulatory system are planning to use these crimes as an excuse to crack down on me! Here is a damning critique of the Hunt/Black proposals from the Media Standards Trust. So it is absolutely clear that the corporate media organisations and the Conservative party are opposed to Leveson because it would strip them of their ability to interfere in the press regulatory regime. What makes this stance so shocking is that the Tories and the corporate media are dressing up their defence of their own vested interests as a defence of "the freedom of the press". Take Tory Foreign Secretary William Hague's statement that the introduction of the Leveson reforms would be an attack on the freedom of the press which would "undermine Britain" on the World stage. It seems that the Tory definition of "freedom of the press" is wildly divergent from what most people would recognise. The average person might accept the definition of a "free press" to be a press free from government control, or control by an oligopoly of "press barons", whilst the definition David Cameron and William Hague seem to be defending is freedom of the Tory party and powerful corporate interests to dominate regulation of the press. 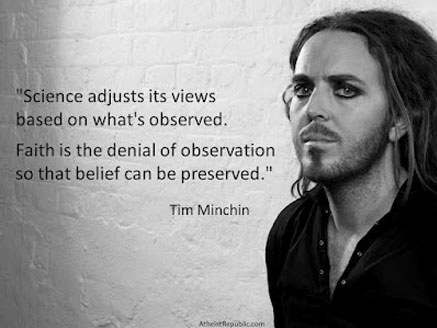 In fact, the Tory stance, as so often is the case these days, relies on a near complete reversal of reality. They falsely characterise the Leveson proposals as attacks on the freedom of the press, whilst the actual proposal looks more like an attack on Tory subversion of the press. If the Leveson reforms are passed, then the placement of two Tory peers in the two most high-profile regulatory positions would be absolutely inconceivable. Aside from defending vested corporate interests in the hope of some much needed pre-election propaganda, the Tories are also playing a desperate defence of their position of influence over the press regulation regime.